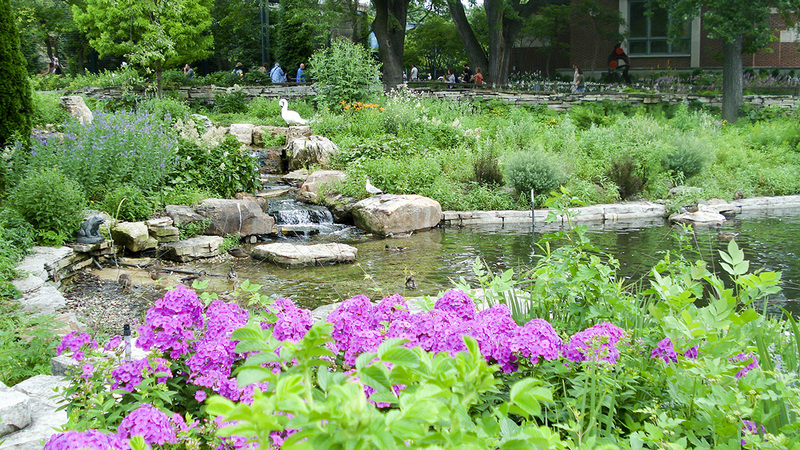 This 49-acre zoo was founded in 1868 with a gift of two swans from the commissioners of Central Park to those of Lincoln Park, where the zoo is located. 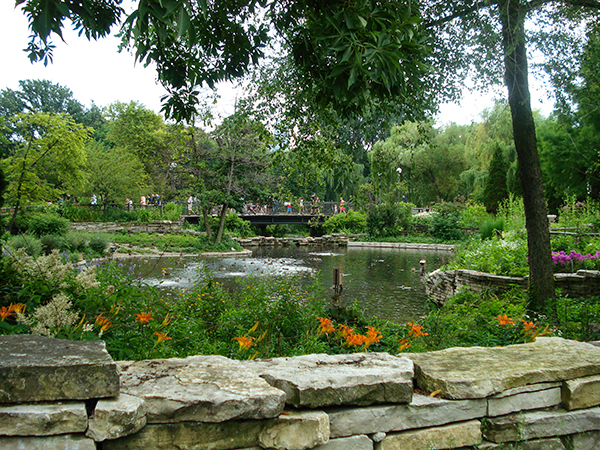 Lying at the center of the park, the grounds of the zoo were designed by landscape architects Swain Nelson and Olaf Benson in the late nineteenth century. 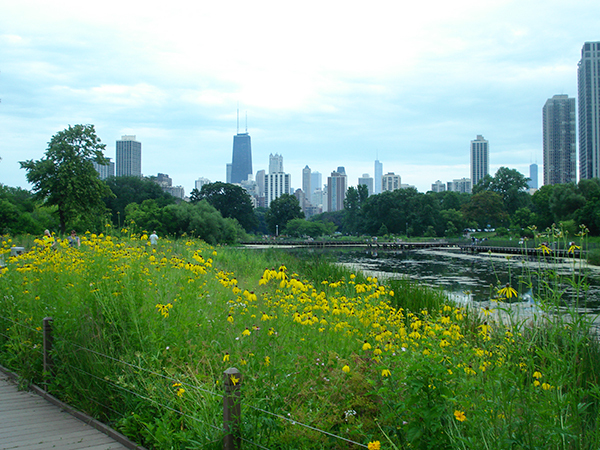 In 1877, Birch Canal was created, connecting Lincoln Park’s North Pond to other waterbodies, which were later reshaped and designated the Swan Pond and Waterfowl Lagoon. Around these constructed water features, several animal enclosures and buildings were built, and the zoo evolved to include Victorian gardens, undulating topography, meandering paths, rustic bridges, and stands of mature trees. 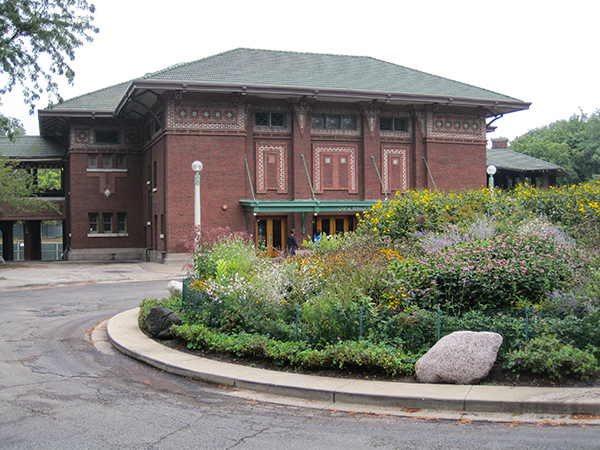 Rather than being set apart from the larger Lincoln Park landscape, the zoological collections were integrated into the park without fences or admission fees. By the early 1900s, enclosures for bears, bison, birds, and sea lions were complemented by pavilions, restaurants, comfort stations, and the Prairie-style Café Brauer, designed by Dwight Perkins and completed in 1908. By the 1930s, when the Works Progress Administration was involved in the refinement of the zoo’s landscape, enclosures for reptiles and primates had been added. From 1945 to 1962, Marlin Perkins served as the zoo’s director, encouraging naturalistic enclosures and forming the Lincoln Park Zoological Society. A year-round children’s zoo and the “Farm-in-the-Zoo” were in place by 1965. In 2003, Portico Group designed an African habitat for large mammals and primates. 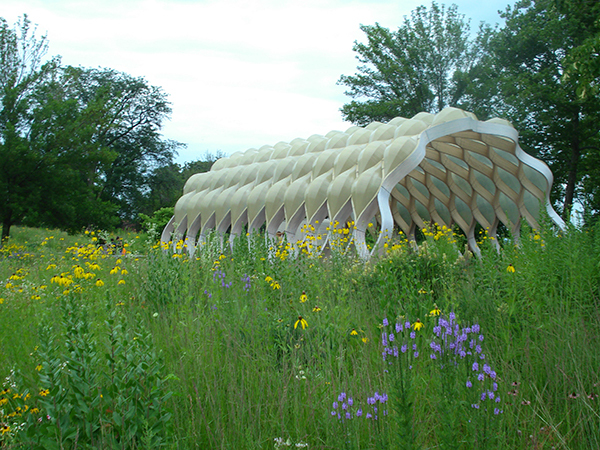 In 2010, Studio Gang revitalized the landscape surrounding the South Pond with the creation of a wetland, outdoor classrooms, and a boardwalk. 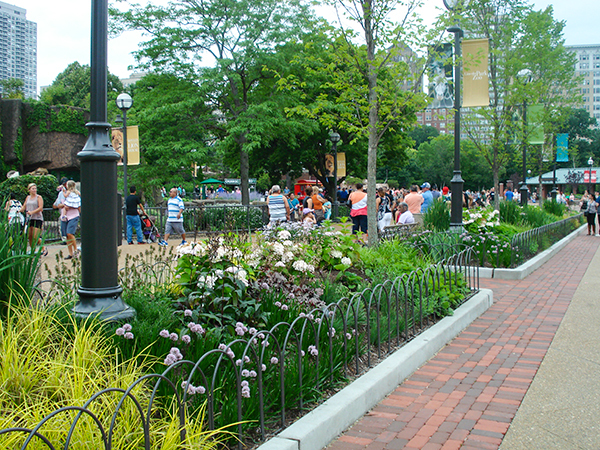 Today, the zoo houses more than 1,100 animals at the heart of Lincoln Park.